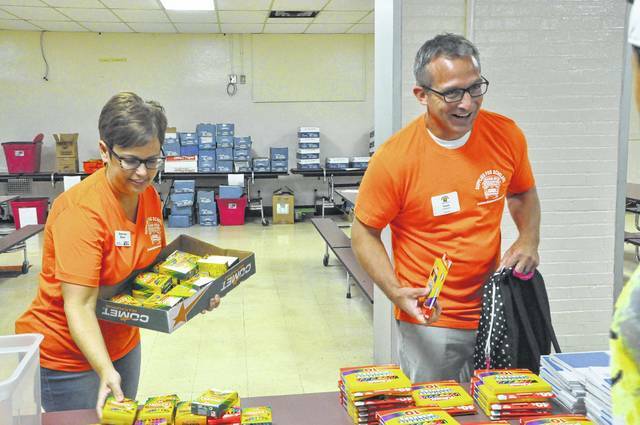 Schultz Elementary School Principal Travis Woodworth and volunteer Stephanie Manor gather school supplies for an elementary school student during Delaware City Schools’ Supplies for Scholars event Monday morning. Delaware residents could bring their children for a free haircut and school supplies including a backpack during the annual event. School officials reported that 712 students stopped by for supplies Monday.